Beckley Crane & Construction, Inc. has been in operation since October 2004. As our customer base continues to grow, so does our concern for safety for both our customers and our employees. We are up-to-date on crane safety laws and mine safety laws as set forth by OSHA and MSHA. All employees are retrained, retested, and recertified as required whether it be weekly, monthly, or annually. We pride ourselves in safe, efficient work no matter how big or small the job may be. I have worked with these guys for several years and they have always done a great job. Great service, knowledgeable and respectful employees with a good attitude and dependable equipment. 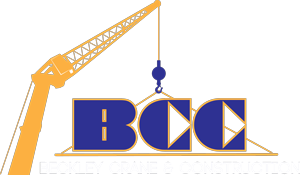 I would highly recommend BCC to anyone wanting to get the job done right.